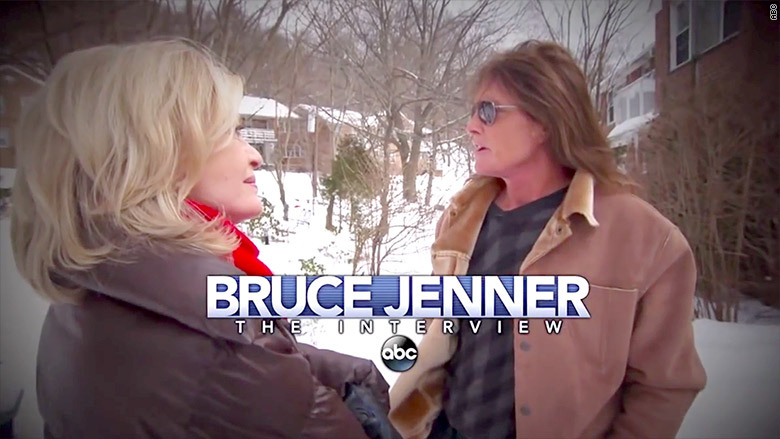 For journalists, coverage of Bruce Jenner's impending interview with Diane Sawyer presents a specific and somewhat uncomfortable challenge: how to refer to Jenner. Normally that last sentence would have said "how to refer to him." But in this story, I'm trying to avoid gender-specific references. That is because Jenner is widely believed to be undergoing a gender transition. 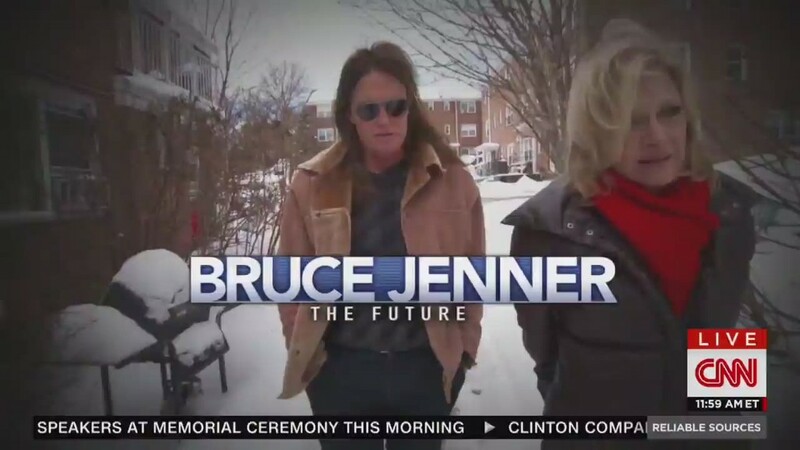 Jenner is expected to address the subject of transgender identity in an interview with Sawyer. The interview is airing during a two-hour special on ABC on Friday night. "For many transgender people this will be a historic moment," says the National Lesbian & Gay Journalists Association, or NLGJA. ABC is not releasing much information about the interview in advance. But I've noticed that in my conversations with ABC representatives, they consistently refer to "Bruce" rather than using a gender pronoun. That's one way to handle what is an intrinsically delicate matter. In fact, NLGJA recommends it. In a letter to news organizations this week, the association said, "Since Jenner has not publicly announced a gender identity, the best practice is to refer to Bruce Jenner by name rather than using pronouns." Some media outlets have done that. Others have continued to say "he" because Jenner has not publicly said anything about wanting "she." In February, People magazine explained its choice this way: "Since his family currently uses the pronoun 'he' to refer to Jenner, People is doing the same." Many outlets are planning to adjust their word choices if Jenner indicates a preference during the interview with Sawyer. These sorts of questions have cropped up in newsrooms before, most memorably when the soldier convicted of leaking government files to WikiLeaks, Bradley Manning, identified as transgender and said "I am Chelsea Manning." News organizations generally began to refer to Manning as a woman, but often noted the change, saying she was "formerly known as Bradley Manning." This web site is owned by CNN. The CNN stylebook directs journalists to go with the preference of the person, and when there's no specific preference known, to go with whatever pronoun is consistent with how the person lives in public. The stylebook notes that another option is to just use the person's name on each reference. That guidance is in line with what NLGJA recommends to journalists: "If and when Jenner expresses a different gender pronoun or name, that's the one to use." Advocacy groups like GLAAD, short for the Gay & Lesbian Alliance Against Defamation, have discouraged the media from speculating about Jenner before any announcement is made. Dana Neuts, the president of the Society of Professional Journalists, has encouraged empathy afterwards, as well. She wrote in a blog post on Thursday that journalists should "be compassionate and to remember that Jenner is a human being with feelings and a family." She added, "Jenner is dealing with something most of us can't begin to imagine." Speculation about Jenner's gender identity reached a fever pitch in February, around the time Sawyer taped her sit-down interviews with Jenner. At that time, MTV even published a blog post titled "What Are The Rules For Talking About Bruce Jenner?" that urged restraint and respect. The discussions in newsrooms will surely continue through the weekend. ESPN writer Christina Kahrl, who first identified as transgender 12 years ago, said society is "ill-prepared" to "speak knowledgeably about trans folk." "And that's understandable," Kahrl said in an interview. "Trans people are rare, so ignorance goes with the territory, and mistakes are going to be made. It's what journalists -- and all people -- do to anticipate or correct those mistakes that will put the circus out of business. Trans people aren't performers, they're just people living their lives as best they can, same as everyone else -- they just happen to be trans."